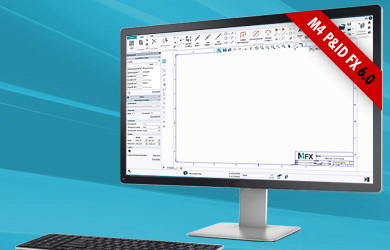 Cambridge, UK and Pittsford, NY – 14 January 2015: Engineers currently planning tomorrow‘s factories will be very well served with this newly released version 6.0 of M4 P&ID FX. This new major release of the P&ID software is a modern design with genuine, new functionality, perfectly fulfilling today’s businesses most diverse requirements. “This time we didn’t want to simply make our software better. We want to empower engineers with a modern and flexible, intuitive tool, allowing swift process engineering planning that can be updated very easily.“ said Product Line Manager, Mark Simpson. 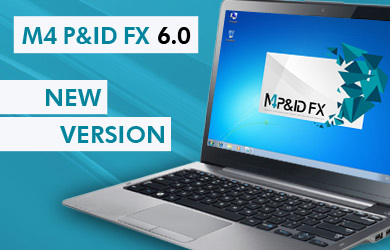 Version 6.0 of M4 P&ID FX delivers genuine improvements, to greatly aid users in their everyday tasks. This includes the catalog and symbol browser, the inclusion of the current P&ID drawings standard and above all the popular dashboard. CAD-Schroer has developed a totally new ribbon interface, allowing a better overview and an even shorter familiarisation period for new users. The dashboard re-design provides added flexibility for the user. Direct access to all relevant functions allows faster diagram generation. Version 6 of M4 P&ID has a completely overhauled catalog and symbol browser. Fast symbol catalog searches, aided by a comprehensive symbol preview and simpler symbol selection enables fast creation of complete schematics. 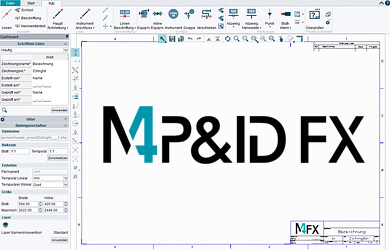 A feature of M4 P&ID FX Version 6 is language-independent saving of symbol attributes, facilitating organisations‘ international co-operation. This allows switching languages, irrespective of which language was used when the drawing was created. The Search functions in Version 6.0 of M4 P&ID FX have been extended extensively, enabling immediate location of components and pipelines in complicated diagrams. The option of generating reports in various and specific formats such as PDF, XLS, RTF and even HTML will facilitate users in their daily work. This saves time and money. Today, CAD Schroer has announced Version 6 of its powerful P&ID software. For a limited period, the new version of the software for creating high quality P&ID drawings is available for a free 30-day trial.